A healthy smile can be a great asset. Not only can it benefit you socially and help you in other things such as your careers and relationships, but it also has many more practical benefits. Your teeth have such an important role to play in your life. They help you chew and digest food, they help you to talk and speak clearly and they also give your face its shape. Because of this, it only makes sense to give your oral health the best care possible. 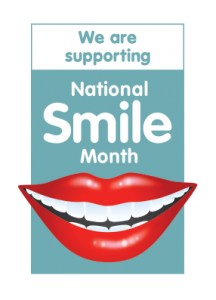 National Smile Month is a chance to take a look at oral health, learn more about why a healthy smile is so important and share tips on how to improve and maintain it. We at ProFresh would like to add another point about oral care. We feel that tongue cleaning is just as important as brushing your teeth. Why? Mucus and food debris can get stuck on the tongue and this provides a perfect breeding ground for bacteria. So get scraping! Find out more about tongue cleaning here. These messages provide a good starting point for us but there’s so much more we can learn. Let’s be honest, maintaining a general level of good oral health is a fairly simple task. It’s not time consuming or costly, yet many people still choose to ignore the most basic day-to-day hygiene routines. A staggering number of people brush for less than two minutes, our diet as a nation has become over-reliant on added sugars while millions of people haven’t seen a dentist in the last two years. The consequences of these over a long period of time, can lead to unnecessary, invasive and expensive treatment. There are direct oral health problems that can arise such as gum disease and tooth decay while the repercussions of poor oral health go further than our mouth. An increased risk of heart attacks, strokes, dementia, complications during pregnancy and male sexual health problems are just a few of the likely outcomes of not looking after our teeth. Visit our Oral Health and Wellbeing page to learn more about the links between oral health and general health. So there we have it. 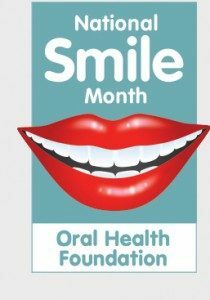 The benefits of developing and maintaining a healthy mouth are clear for all of us to see, as are the dangers of an unhealthy mouth. Following the basic rules and adopting a sensible daily routine should be high on all our agendas. 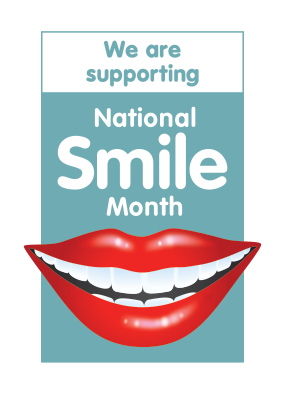 By using National Smile Month as an opportunity to prioritise our oral health, we will soon see what a remarkably positive difference it makes to many aspects of our lives.